Maintaining business continuity is your highest priority. In today’s commercial landscape, business continuity depends on the efficient, uninterrupted flow of data across the organization – from operations to sales to fulfillment. Even a brief lapse in workload continuity can mean thousands of lost sales opportunities, disruption to production, and compromised customer trust. The causes of those lapses can range from natural disasters to mechanical failure or human error. 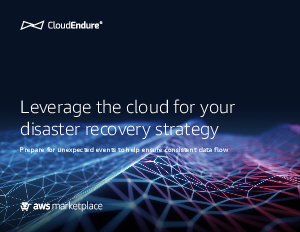 You need a data platform and a proactive disaster recovery (DR) strategy that will help you stay up and running in the event that your physical infrastructure is unavailable for any length of time. Fulfilling orders, providing a high level of customer service, and keeping consumers engaged all depend on the efficient, uninterrupted flow of data throughout your organization. Above all, protecting customer data—especially personally identifiable information (PII) —is critical for retaining the trust of those who buy and rely on your products or services. In this eBook, learn how you can identify and implement a DR approach that is tailored to your business model and specific needs.